Looking for short-term opportunities? Most of these opportunities are done-in-a-day, require only a few hours of time, or will last only a few days or weeks. There are also volunteer opportunities that can accomplished from home listed here. Some of these are on-going, occurring once or a couple of times a year, some will happen just this one time, but all need your help to be successful! These events change frequently, be sure to check this page often. Contact information is listed below. To SIGN UP receive our quarterly E-Newsletter, CLICK HERE. 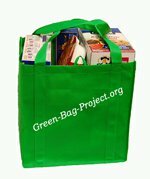 CLARK NEIGHBORS FOOD PROJECT or RIDGEFIELD NEIGHBORS FOOD PROJECT is looking for people who will be neighborhood coordinators to help expand "Project Green Bag". This is a "at home" volunteer opportunity. Coordinators sign up their neighbo rs as participants in this unique way to support neighborhood food banks. Coordinators share information about the project with their neighbors, pass out the green canvas bags the neighbor will fill with food donations over the course of a month, and then email or call their neighbors to remind them of the collection day. The coordinator then makes sure the filled bags are picked up, a new empty bag is left, and the collected bags are taken to the designated neighborhood collection point for distribution. Some limited data entry skill is needed, along with the ability to send out reminders of pick up times by email or phone, and the ability to lift/carry up to 25 pounds helpful. A vehicle or the ability to arrange for transport of the filled bags is helpful. Pick up days are usually every two months on a Saturday. To sign up for this event contact Volunteer Connections at 360-735-3683. CLARK COUNTY PUBLIC WORKS PARKS DIVISION: SOLVE IT FOR EARTH DAY Saturday April 20 from 9:00 a.m. till noon volunteers will collect litter from throughout Frenchman's Bar Park (8800 Lower River Road) along the banks of the Columbia and at Blurock Landing. You will play a vital role in preventing trash from entering the Pacific Ocean. Parking passes provided. Contact Dora at 360-397-2285 ex 1679 or email at dora.hernandez@clark.wa.gov. Other Frenchman's Bar Clean up days are scheduled for; Saturday May 25, Saturday June 22 and Saturday July 27. CLARK COUNTY PUBLIC WORKS VOLUNTEER PROGRAM is looking for volunteers to help with the 8th ANNUAL BIG PADDLE FESTIVAL Friday May 31 9:00 a.m. till one p.m. and Saturday June 1 at the Port of Ridgefield Public Boat Launch 5 West Mill Street. Friday you'll help set up the event, then Saturday help paddlers register 7:00 a.m. till 10:30 a.m. and with event deconstruction from 4:30-6:30 p.m. Contact Dora at 360-397-2285 ex 1679 or email at dora.hernandez@clark.wa.gov.